Fresh from the garden tomatoes and a generous portion of delicious avocado slices on a huge bed of lettuce greens mixed in our own special dressing. 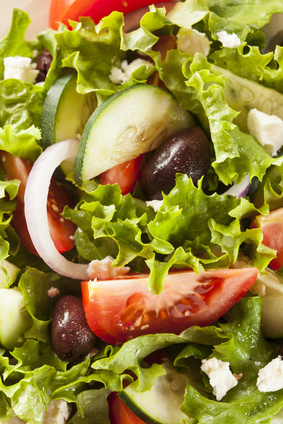 A mix of greens combined with fresh tomato, sliced cucumber and topped with your choice of dressing and croutons. Our greens are fresh off the farmer's garden, topped with fresh tomatoes,cheddar cheese, olives, bacon bits and eggs. Served with your choice of fried, blackened or grilled shrimp or grilled chicken and dressing. Fresh romaine lettuce covered with Parmesan cheese,Caesar dressing and topped with juicy seasoned grilled chicken. Romaine lettuce covered with Parmesan cheese, Caesar dressing. This is no ordinary taco. This colossal structure of greens and seasoned beef is covered with cheddar cheese, tomatoes, jalapeños, black olives, and scallion, topped with a mound of sour cream, surrounded with layer of fried corn chips.